I sometimes find myself caught up in my thoughts and troubles, unable to work effectively and procrastinating like mad. When this sort of a feeling falls over me, I know that I need to take a few moments to re-center myself so that I can get back to the present and move forward! 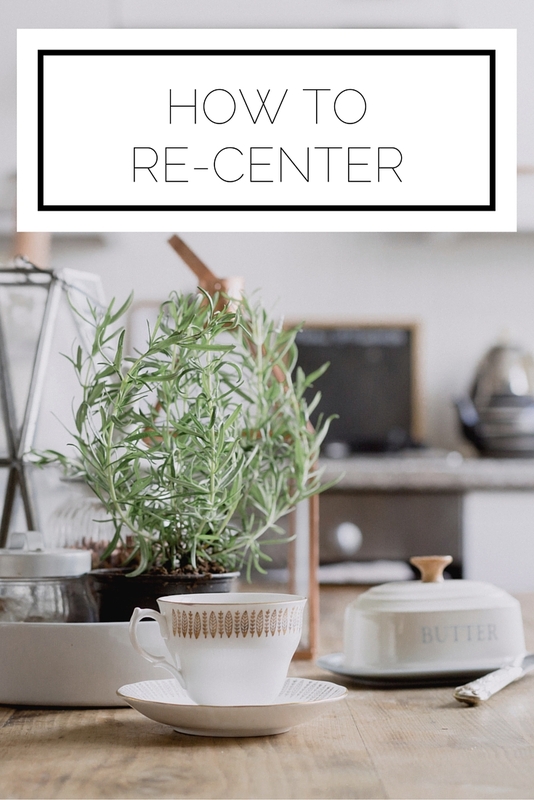 Today I want to share just a few ways that I re-center myself when my mind goes places I don't want it to, at times it shouldn't (oh silly mind, why do you do this to me?). Write down what's on your mind. If it's task related, making a to-do list is best and if it's more of the emotional kind pull out your journal. Close your eyes and listen to an entire song. 3-4 minutes is the perfect amount of time to get you back on track. I like to listen to a song I've never heard before and focus on understanding the lyrics. Going on to Spotify and choosing a random song from the Your Favorite Coffee House playlist does the trick. Check in with someone. I usually call my mother when I am en route to wherever I next need to go on campus. The quick conversation where I am able to verbalize what's going on with me and get distracted from my own troubles by listening to her update is the perfect way to get some perspective. Take a moment to breathe. We have all been given this cliché advise at some point in our lives for the simple reason that it is true. I don't ascribe to any particular method, rather I just attempt to clear my mind by only thinking about my breathing. Light a candle. I LOVE candles which makes being at college particularly difficult since we aren't allowed to have candles in the dorms. Pick a candle in your favorite scent (I love Vanilla Cupcake from Yankee Candle), light it, and appreciate the great smell! Hopefully these tips are helpful! What do you do when you need to re-center? Great post! I always find myself procrastinating so will definitely be trying some of these tips! That's great; especially when it means some extra income!